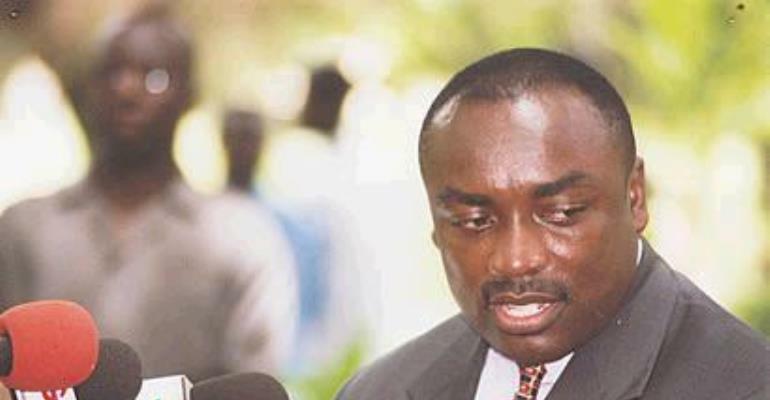 The Press Secretary to the President, Mr. Kwabena Agyepong, has disclosed that the New Patriotic Party (NPP)–led government has built over 300 schools in the Volta Region alone within the little over three and a half years it has been in power. Addressing a one-day forum organised by the University of Cape Coast (UCC) chapter of the Tertiary Education Students Confederacy (TESCON) of the NPP at Cape Cost recently, he said that very remarkable feat of the government cuts across the length and breadth of the country and it was only those whose hallmark was falsehold who would dispute this fact. He said the NPP government was not discriminatory that was why it had made sure that the national cake was fairly distributed irrespective of the people's ethnic origin, social status or political persuasion. Mr. Agyepong attributed the achievements of the NPP government to what he called the forward looking policy of adopting the Highly Indebted Poor Countries (HIPIC) Initiative. The Government's Spokesman on Social and Infrastructural Services, Mr. Kofi Amponsah-Bediako, said at the time the NPP took over from the National Democratic Congress (NDC), the per capita income of the country was around 300 dollars and within the less than four years of the NPP administration, it had gone up to over 400 dollars, which meant the government was on track.